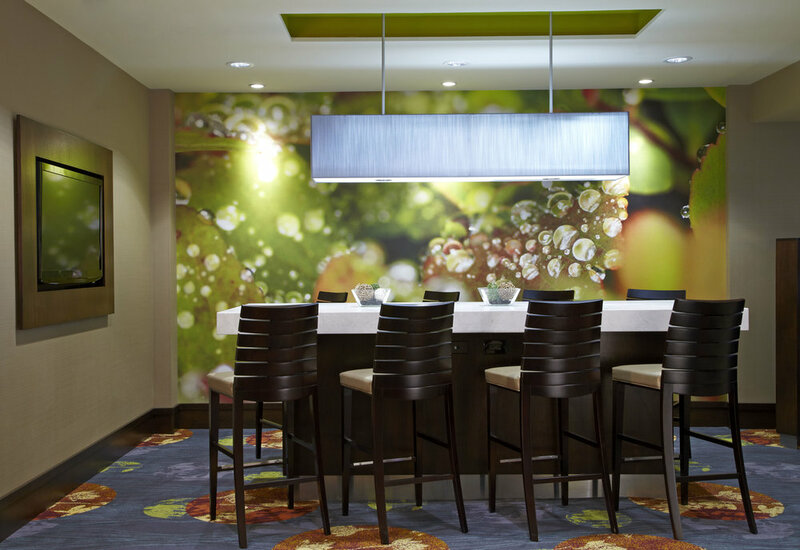 Refresh your travel routine at Courtyard by Marriott Ithaca. Our new lobby features inviting, flexible spaces to work or relax, free WiFi throughout and easy access to the latest news, weather and airport conditions via our GoBoard. The highlight of our new lobby experience is The Bistro - Eat. Drink. Connect., which provides healthy offerings in the morning, dinner service with wine and beer selections in the evening and Starbucks® coffee all day. Courtyard by Marriott Ithaca is centrally located just 4 miles from Cornell University and Ithaca College and minutes away from an abundance of Finger Lakes Wineries. For your convenience, we provide complimentary shuttle to Cornell University, the Commons & the Tompkins County Regional Airport.